Home Strategies Should You Offer Discounts in Cart Abandonment Emails? 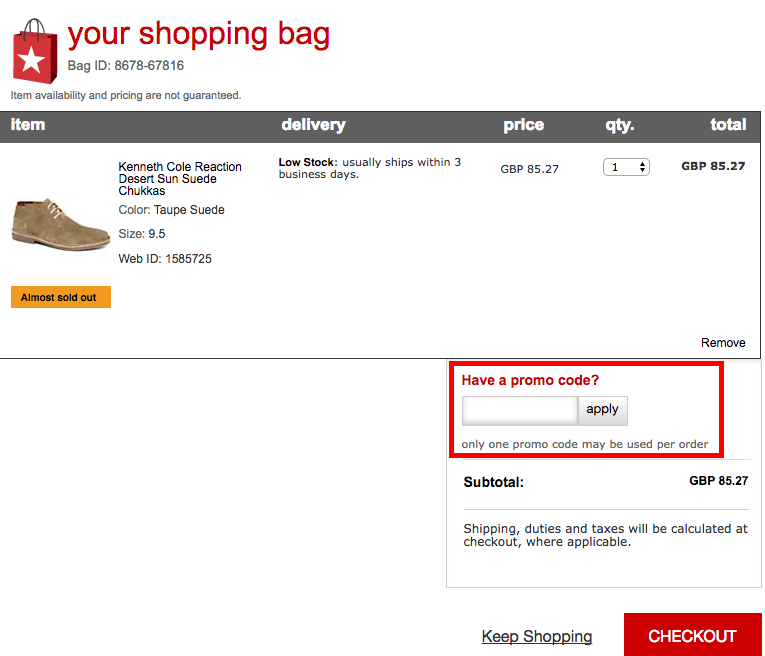 Should You Offer Discounts in Cart Abandonment Emails? Discounts are a common tactic used by online retailers, but is there a risk that customers are being trained to look for them? Should they be a feature of cart abandonment emails? I read an article on medium recently which tied ‘soaring’ abandonment rates to the process of training customers to expect discounts. In a nutshell, the writer argues that people are deliberately abandoning purchases in the belief that a remarketing email will follow with a nice discount for them, and it is this that is pushing up abandonment rates. 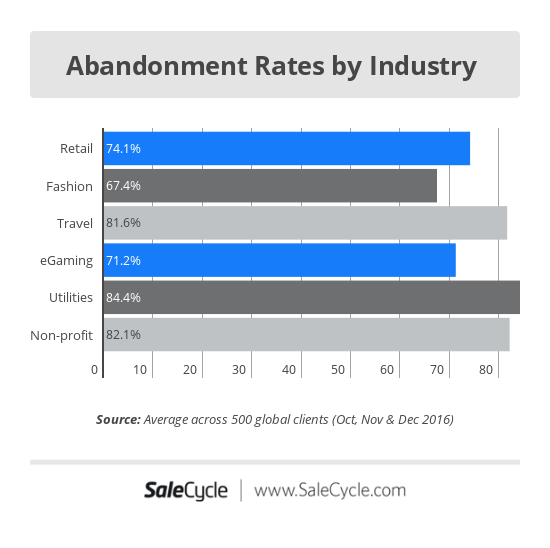 I’m not convinced that abandonment rates are soaring though. We track abandonment rates and, while there is some fluctuation, they have remained relatively steady over the last two years. The latest figure we have, from Q4 2016, is 76.6% across all sectors, though it will vary by industry. Retailers can improve usability, eliminate issues with checkout forms, payment etc, but there will always be a certain amount of abandonment, simply because most people will not decide to buy on the first visit. Are Customers Being Trained to Expect Discounts? However, the issue of discounts is worth exploring, as there is evidence that customers are being trained to expect discounts. I’ve seen this in practice myself, there are some brands I’d be reluctant to buy from at full price, as they offer discounts so regularly. For example, I receive emails offering price reductions several times a month from Gap – this is a snapshot from November last year. They’re so frequent that I’d be foolish to pay full price for my jeans, I’d just check my emails instead. Likewise, the appearance of a coupon code box on an e-commerce checkout can be a signal to shoppers that there might be a discount on offer. Here, a shopper on Macy’s may be happy enough to pay the full price for these boots, but the presence of the promo code box is a signal that they might just be able to save some money. 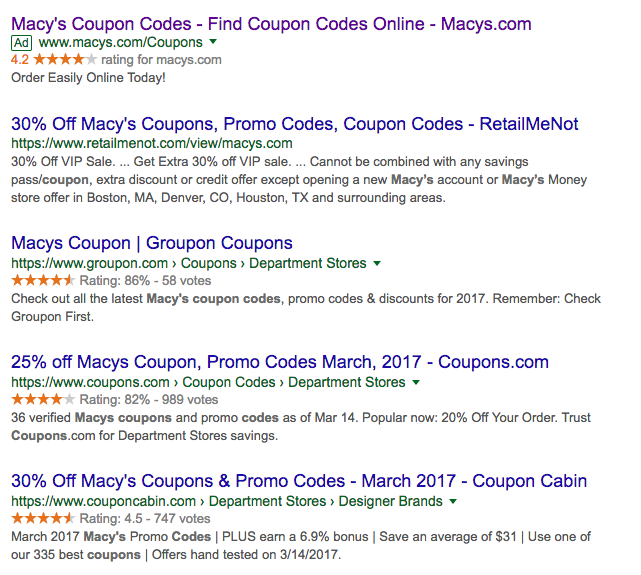 A natural response would be to turn to Google and check out one of the sites offering codes for Macy’s. The result could be that the retailer fails to sell the boots at full price. Shoppers have always looked for a bargain, and the internet has made it easier in many ways for customers to find the best deal. Comparison engines, deals sites like Groupon, and the many voucher code sites all appeal to the bargain hunter, and reinforce the idea that the deals are out there if you look hard enough. 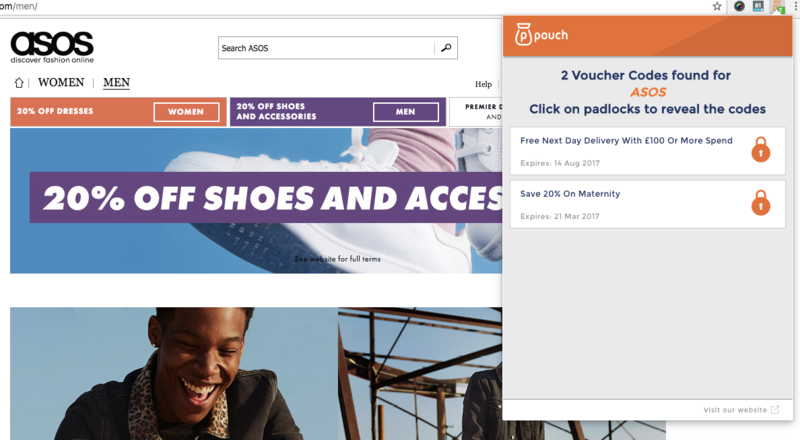 One such example is Pouch, a browser extension that alerts shoppers to any discount codes which may be available on the sites they visit, so people don’t even need to search Google for deals. Consumers have caught on to the fact that some abandoned cart emails offer discounts. For example, this ‘shopping secrets’ post on Money Saving Expert advises people to abandon baskets in case you receive a discount code. The problem for retailers is that, while discounts are attractive to customers and a great tactic for boosting short-term sales, it has an inevitable impact on profitability. As Kevin Hillstrom explains in this post, there is an obvious relationship between the level of discounting and profit. To summarise Kevin’s point, a business that doesn’t feel the need to discount (Apple for example) in is the healthiest position, and one that does use discounts but modestly and infrequently (perhaps to clear older stock) is also is a good position. However, the businesses which discount almost constantly can be harming their own profits, while also becoming caught in a trap – once you’ve trained your customers to expect discounts, the ‘standard’ price of your products seems very expensive indeed, and it’s hard to escape the cycle. This brings us to Black Friday and the Christmas shopping season, a time when customers expect ever more attractive discounts from retailers. In the UK, where Black Friday is a relatively recent phenomenon, there’s been some pushback from retailers, with some well-known brands deciding not to take part. This is because discounting relatively early in the season tends to affect sales nearer Christmas Day. So retailers can end up selling more earlier, but at reduced margins. Our sales data backs this up. 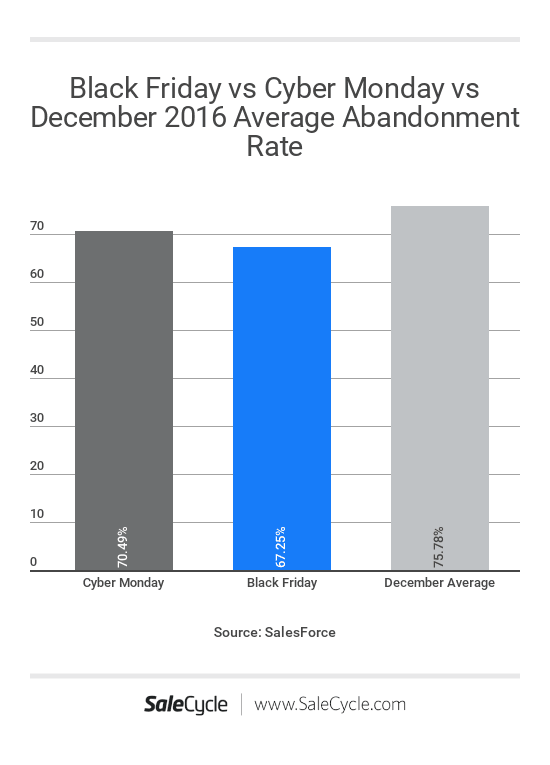 Black Friday 2016 was three times busier in terms of sales volume than the busiest day in December, while abandonment rates were significantly lower. This doesn’t mean that discounting isn’t a worthwhile strategy though. If used wisely, the long-term value of the customers acquired through discounting will outweigh the reduced margins. For example, retailers are able to increase new customer acquisition by offering discounts off first purchases. This is a sensible discounting strategy with relatively modest discounts, and if retailers retain a good proportion of those buyers, then the reduced value of the initial conversions will have been worth it. 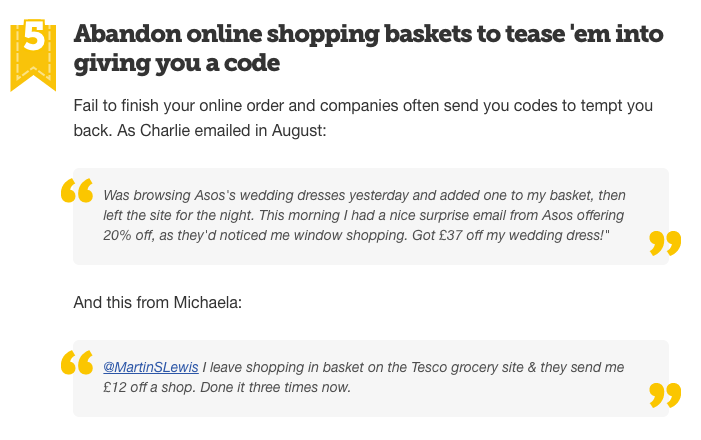 Which brings us back to the original post about offering discounts in cart abandonment emails. 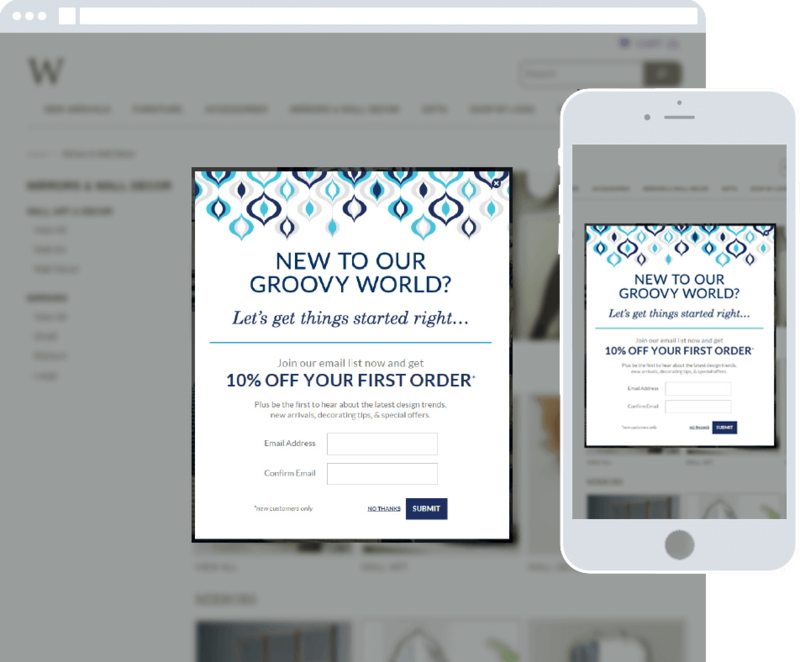 Do discounts in remarketing emails increase cart abandonment? The short answer, based on our data, is no. We haven’t spotted this pattern. What we can see though, is that discounts can reduce the value of conversions. So, while the volume of conversions increases thanks to cart abandonment emails, the overall value is reduced. We have cautioned against the use of discounts in the past, mainly because email remarketing can perform well enough without the need to resort to special offers. We’d advise very selective and careful use of discounts. So, we wouldn’t advise offering blanket discounts to everyone who abandons a purchase, and certainly not on the first email. However, discounts are sometimes added to second and third cycle emails, segmented according to factors like higher basket value or perhaps to target a particular geographical region. The key point is that discounts should either be profitable for our clients, or should achieve a particular goal. It’s also important to prevent viral or habitual use, so we’d recommend that discounts are used for a short time, often related to an on-site promotion, so that customers don’t come to expect price reductions every time they make a purchase. One retail client started by offering discounts in the first abandonment email, but found that this had a negative effect on ROI. Now they use discount codes in their second cycle emails, but codes are rotated frequently and changed to avoid any viral disclosure. Also, discounts vary according to regions, so in areas where they are trying to expand they can offer more, or higher discounts. 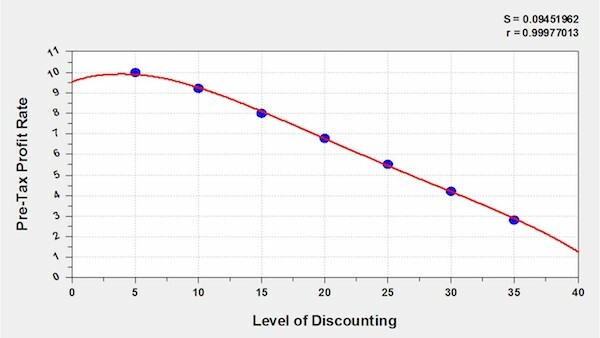 We’ve seen no evidence that cart abandonment is driven by possible discounts, instead the real risk is that offering too many discounts and too early in the cycle, retailers are reducing their margins, and potentially training customers to expect discounts. So should retailers offer discounts in remarketing emails? Well, they can work well enough without discounts so retailers would be best advised to try this approach first of all. However, it can depend on what retailers are trying to achieve with abandonment emails. If the goal is to maximise profit, then discounts are likely to impact that. If new customer acquisition, or perhaps expansion on a particular market is the goal, then discounts can help, and the tactic can pay off in long-term customer value. More broadly, retailers need to be careful when discounting, and to avoid becoming stuck in this cycle. Want to talk about cart abandonment? Next articleIs Choice Paralysis a Problem for Online Retailers?